This is a rectangular flange Marshall-Wells Zenith porcelain sign. This particular Marshall-Wells Zenith sign is predominantly blue and yellow with black and red text. 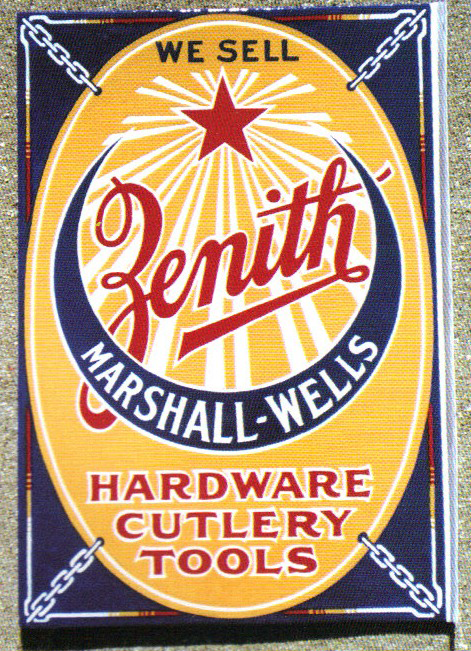 It reads, “We Sell Marshall-Wells Zenith Hardware Cutlery Tools” and features a red star with a blue banner.